Just like your routine hair cuts, tree trimming is a natural and vital part of promoting a healthy, growing tree. However, a tree is a living organism, unlike your hair, and improper tree pruning can cause damage to your tree. The most important thing to keep in mind when pruning you r trees is that pruning will affect the structure, health, and vigor of your tree. These consequences can be both negative and positive. When done correctly, tree pruning can help maintain the overall health of your tree. 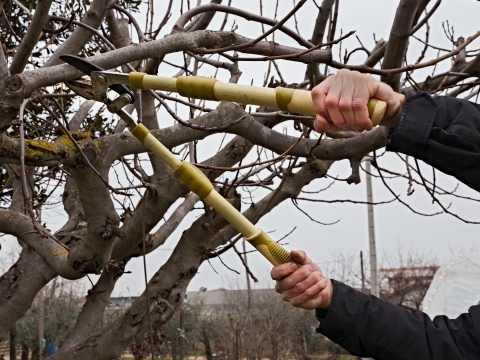 It is important to know that there are specific circumstances that must be in place to determine if pruning is needed though. It is common for trees to be routinely trimmed. It is recommended to do this once every season to cut back dead foliage that may be preventing your tree from reproducing fresh leaves. remove potentially harmful branches over sidewalks, roofs, windows, parking areas, etc. Finally, our certified arborists strongly advise against top cutting your trees.Top cutting is when all top layers of each branch have been completely snipped. Not only does this method inhibit any regrowth for your tree, it also has a negative effect on the overall aesthetic of your tree. To put it simply, this is much like shaving your head bald when trying to grow longer hair. It is an impractical approach to promoting your tree’s overall health and wellness. Since it is easy to cause harm to your trees, we strongly recommend seeking the help of our certified arborists. While our experts know when it is appropriate to prune trees, they can also assess the correct diagnosis for tree damage, disease, and pest control. Trust your local Virginia arborist to get the job done properly and book our services today!